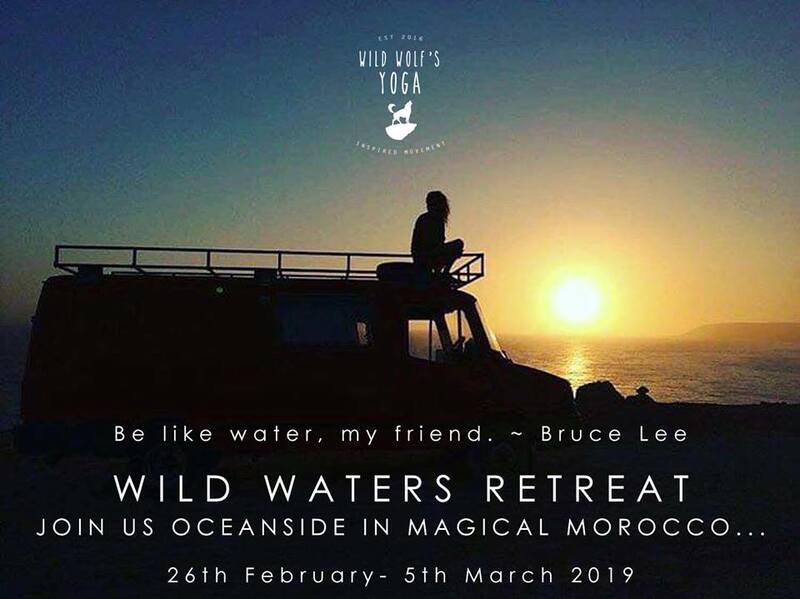 The Wild Wolf pack have come together and created a Yoga & Surf Retreat in the beautiful setting of the Moroccan coast in the tranquil fishing village of Taghazout. 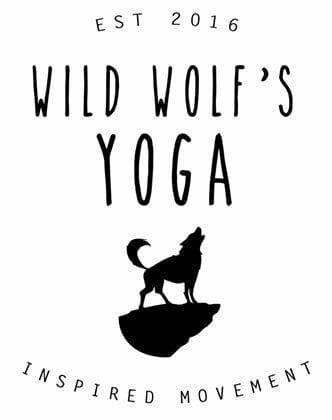 Your Wild Wolf teachers will weave their favourite yoga styles into a week of surf. Whether you are new to yoga or surf, we cater to everyone’s need and level of experience. 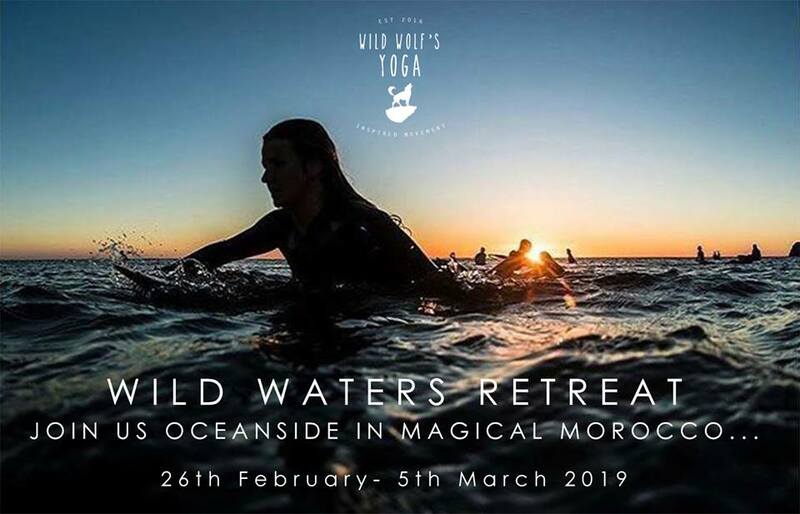 We are absolutely thrilled to combine forces and dive into the depths of the wild waters within. SURF: Did you know some of our teachers are keen surfers? Some not so much, some curious…Either way the best surfer out there is the one having fun! POWER YOGA: Step into powerful flows to strengthen the body and mind for the wild waters. SLOW FLOW: Have chance to slink into slow flows post surf to soothe the oceans of the body. YIN: Head into the stillness of yin to listen to the currents of the self. MEDITATION: In the depths of wild waters, there is a retreat inwards where movement is quelled and senses quietened. We just know this will be a truly special trip! 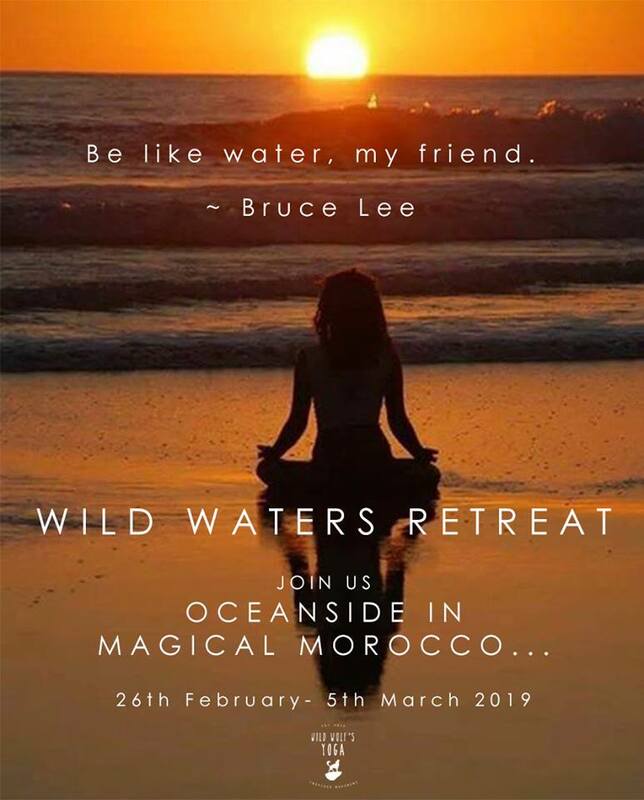 Magical Morocco beckons! We welcome laughter, playfulness, quietude and the discovery of still and wild waters. Full price of retreat depends of your choice of accommodation, prices below, with varying room options available (shared bathrooms unless specified). Of course we do our best to accommodate where possible! 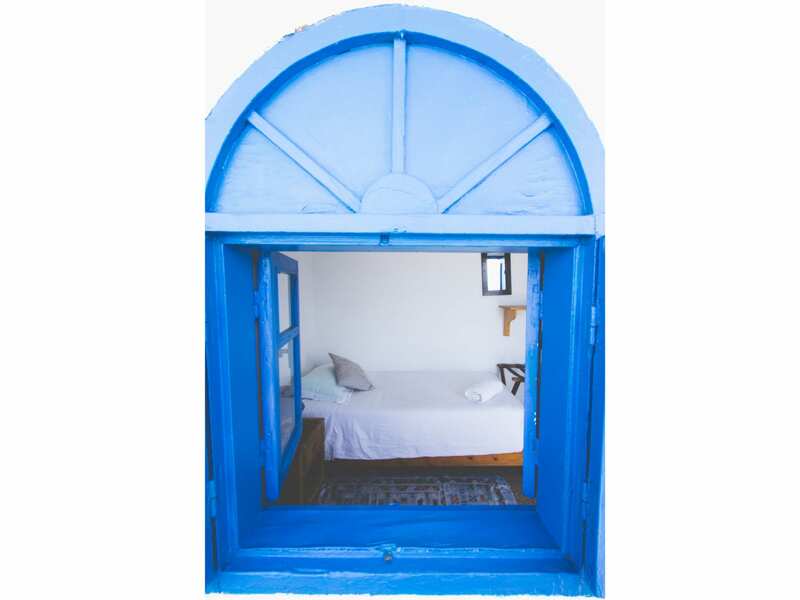 The reinvention of Taghazout’s oldest accommodation venue L’Auberge. Upscale guest house style with a boutique vibe. 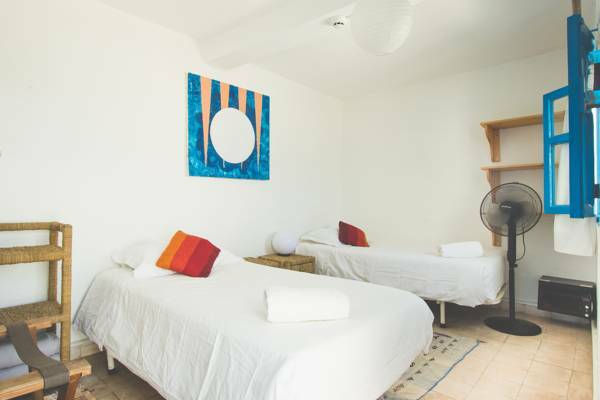 Meters from the beach in the heart of the village the Auberge offers clean, simple but thoughtfully decorated and designed rooms at an amazing price. Set over four floors in the centre of Taghazout bay, with the ground floor housing Taghazout’s most popular restaurant, the L’Auberge is in the heart of the action. In the chill out lounge our tea/ coffee station offers you the chance to enjoy a cup of the hot beverage of your choice any time of the day. Daily fresh fruits delivery will allow you to refuel energy after surf or yoga. You can relax on the sofas, enjoy the swap book selection and the free wi-fi. Sun-filled balconies and restaurant below come together to give the Auberge a real community feel. Kick back and enjoy the sunset from one of the beautiful terraces at the house. The first floor features a lounge area to relax with books and magazines. Internationally renowned amongst travelers, surfers, and yogis for its laid back pace and world-class waves, Taghazout is a unique gem on Morocco’s Atlantic coast. Located 40 min from Agadir international airport, it’s a short hop (only 2 to 3 hours) from most central European cities. It’s the closest place for any European surfer to get year round warm water, perfect waves, and a unique cultural experience. We have two spaces to practice yoga. Both of them overlook the ocean with an amazing view of the sunset whilst enjoying the sound of the waves against the shore. more. Served on the main terrace overlooking the surf it will keep you fuelled for a day at the beach or fill you up after a surf at dawn. Packed lunch is taken on the beach comprising of homemade crispy baguettes, salad or pasta each accompanied with fresh fruit and sweet treats. On the roof top overlooking Taghazout Bay you can expect to find a nightly offering of tapas and starters. 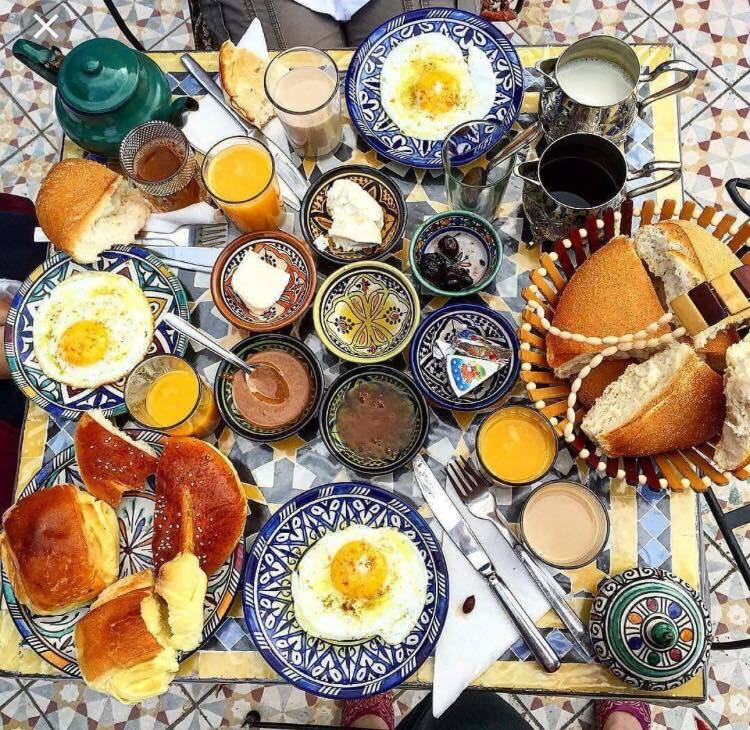 Followed by meals ranging from Moroccan tagines, couscous and salads, to barbecues, vegetarian options, fresh fish and a delicious variety of international and Moroccan dishes to suit every palate. Book soon for super cheap flights!